January 2019 - Program: Colorado Mineral Belt. IMA List of Mineral Names. Santa Teresa Mercury Mine Field Trip. BAM Dinner at Tucson. Pacific Micromount Conference. Upcoming Tucson Shows. November 2018 - Program: Cornwall & Beyond. Save the Date, December 8. Upcoming Shows. September 2018 - Program: Reward Mine. John Veevaert. SFG&MS and BAM picnic recap. Pacifica magazine article. Dunning & Hadley paper. June 2018 - Program: 2017 Adventures in Namibia. BAM Summer Hiatus. BAM Summer Picnic, Aug 18. SFGMS Show. Crystal Structure and Atomic Design. May 2018 - Program: Garnets of California. Fun reading: "Thank God This is Only A Hobby!". Member Newsletter Contributions. REE Deposit in Japan. Perovskite in Diamond. Upcoming Show. April 2018 - Program: Topaz and Its Friends. Article: Topaz Etymology & St John's Island. March 2018 - Program: Tucson and Then Some. BAM Website 2.0 Launch. BAM Mineralogical Award 2017. Upcoming Events & Shows. February 2018 - None: Tucson Holiday. January 2018 - Program: Rick's Big Year, 2016, by Rick Kennedy. Rick's Open House. Upcoming Events & Shows. No February Meeting / Tucson Dinner. December 2017 - Program: Minerals on the Rim of Fire, by Joseph Ogierman. Holiday Party. Donate to mindat. Sagenite & Sagenitic Quartz. November 2017 - Program: Nevada DIY. Remembering Jean DeMouthe. Swiss Sewage. Upcoming Shows & Coupons. Get the current coupon here. October 2017 - Program: Amorphous Opal at Kawah Ijen, Java, Indonesia, by Jake Lowenstern. New members welcomed. Upcoming Events. September 2017 - Program: McDermitt Mine, by Mike Cox & Ted Hadley. Rock Sale. Upcoming Events. SFGMS Show Pictures. August 19-20, 2017 - San Francisco Gem and Mineral Society Show, including BAM displays. July - August, 2017 - Gone to the country. Look for the next regular issue in September. Happy hunting! June 2017 - Fen Cooper Memorial. Program: Myanmar Tour, by John Magnasco & Barb Matz. Summer Plans. A Visit to the Smithsonian. May 2017 - Program: Darwin Field Collecting, by Stan Bogosian. Fluorite from Dal'negorsk. NCMA Micromount Symposium. Bam at CA Academy of Science. April 2017 - Program: BAM website 2.0 Demo by Gawan Fiore. How to get BAM Swag. Neanderthal Rockhound? Upcoming Shows. March 2017 - Program: Tucson Show and Tell. Congratulations Dan Carlson. New Carbon & other minerals. News and Shows. February 2017 - None: Tucson Holiday. January 2017 - Program: Mark Mauthner on the Oceanview Mine. Rick's Open House. All about Tucson. Pacific Micromount Conference. December 2016 - Program: Celon Sapphires by Sheahan Stephen. MinRec Supplement & Photo Offer. Got Swarf? Upcoming Events. BAM in Myanmar! November 2016 - Program: Silver & Gold, by Dr. David Mustart. MinRec & BAM. News of Members. Upcoming Shows. PNW FM Conference Photos. October 2016 - Program: The Seaman Mineral Museum a la Don Windeler. CA Academy Minerals. Snow Lake Memories. Upcoming Shows. September 2016 - Program: BAM and the MR Supplement. Picnic Report. Green Fire Mine Field Trip. BAM at the SFGMS Show. July - August, 2016 - Gone to the country. Look for the next issue in September. Happy hunting! 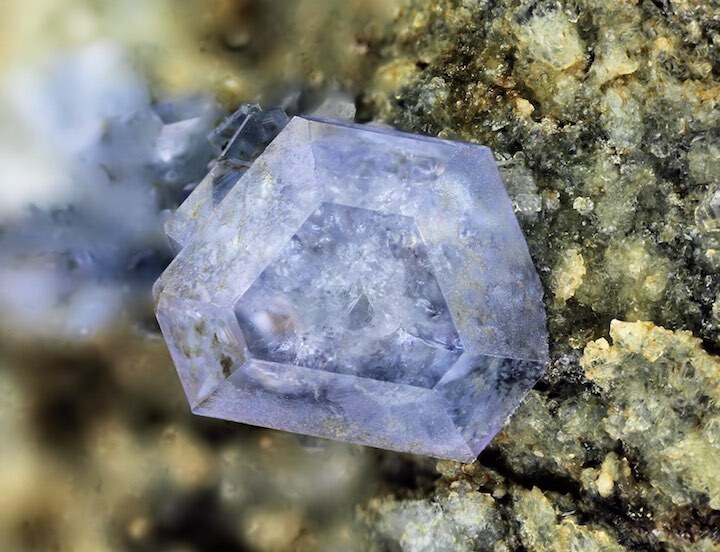 June 2016 - Program: Belgium and Mineralogy, by Herwig Pelckmans. Web Site Committee Report. Mariposa Museum Event. A Special Geologic Map! SFGMS Show & BAM Picnic. BAM Summer Break. BAM Exhibits at Santa Clara Show. May 2016 - Program: New Idria Quicksliver, by Gary Parsons. Summer field trip complications. Chatsworth mineral collection. Upcoming Symposium. April 2016 - Program: Ongania Mine Namibia. Darwin Revisited. Santa Clara Show & BAM Display. Upcoming Shows & Events. March 2016 - Program: Tucson in Review. Peter's Clear Creak Adventure. Summer Trip to da UP, the book. Portable Emergency Locators. Upcoming Shows & Events. February 2016 - None: Tucson Holiday. January 2016 - Program: Alfredo Petrov on Pseudomorphs. Rick's pre-Tucson Open House. Mineral Reich Eifel, the book. BAM dinner in Tucson. Upcoming Shows & Events. Scheduled Talks in Tucson. December 2015 - Program: Barb Matz on the Trona Field Trips. Teds news from the field. Second largest diamond ever found. Ping diamonds. Upcoming Shows & Events. 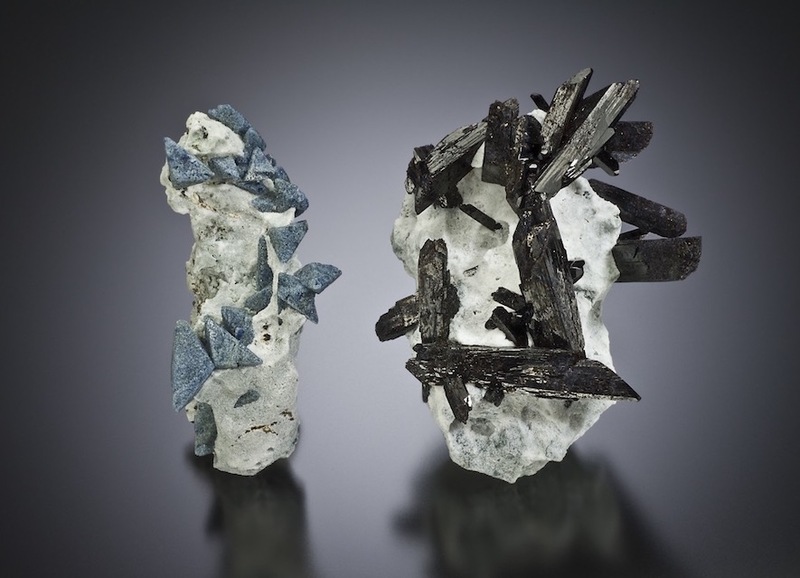 November 2015 - Program: Len Piszkiewicz on Sphalerite in the Midwest. 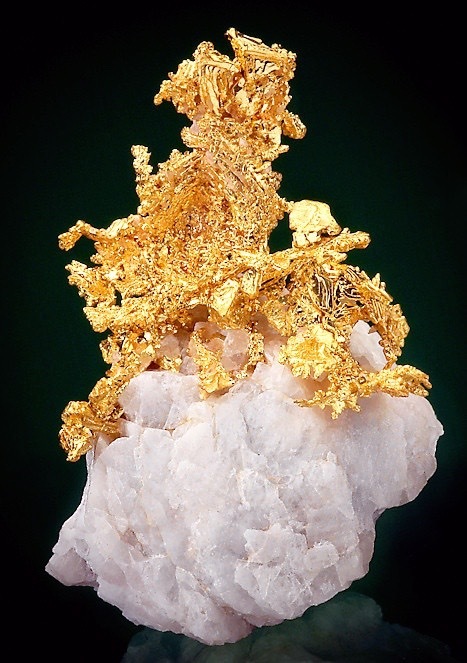 New California Mineral, Esquireite. CA Academy Exhibit at SFO. Trona Field Trip Report. Upcoming Shows & Sales. 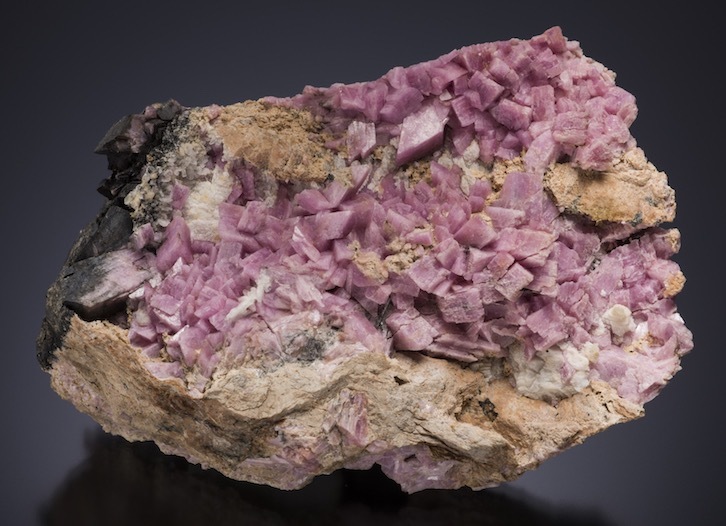 September 2015 - Program: Dan Evanich on Minerals of the Smithsonian. BAM at the SFGMS Show. BAM Picnic. CA Academy Fluorescent Request. New Blue John Discovery. Upcoming Shows & Sales. June 2015 - Program: Jake Lowenstern on Drilling for Magma in Iceland. BAM summer field trip to Montana. SFGMS Show. BAM Picnic. Michigan Mineral Museum Collaboration. Who Was Baron Lederer? MT: Boulder Batholith & Berkeley Pit. Upcoming Shows & Sales. May 2015 - Program: Don Windeler on the Michigan Minerals. BAM summer field trip to Montana. NCMA Symposium. Upcoming Shows & Sales. April 2015 - Program: Jesse Fisher on the North Pennine Orefield. BAM summer field trip to Montana. Bam Case at Santa Clara Show. Bute MineralSymposium. Mindat status change. Upcoming Shows & Sales. Upcoming field trips. March 2015 - Program: Tucson Download. Pacific Micromount Conference. Upcoming Shows & Sales. Upcoming field trips. February 2015 - None: Tucson Holiday. January 2015 - Program: Field Trip Reports. Open House Jan 25. Pacific Micromount Symposium. Tucson Shows. Upcoming Shows & Sales. December 2014 - Program: Madagascar Tour, by Barb Matz. Sutter's Mill Meteorite. Pacific Micromount Symposium. Upcoming Shows & Sales. November 2014 - Program: Imperial County, CA Ð Overlooked and Undercollected, by Bob Walstrom. Cargo Muchacho Field Trip. Mineral Names Ð Weeksite. Upcoming Shows & Sales. October 2014 - Program: Alex Cooper on a Tabledt App for Mapping while Field Collecting. Clear Creek Field Trip Oct 25. In Memorian. Rocks in the News. Upcoming Shows. September 2014 - Program: Dan Evanich, New Mexico, Land of Enchantment (and lots of fluorite, too). Scenes from New Mexico. President's message. SFGMS Show Report. Upcoming Shows. July - August, 2014 - Gone to the country. Happy hunting! June 2014 - Program: Ted Hadley, "Adventures in Mineral Collecting". In Search of BAM Officers. Summer activities. PIA Award for MinRec GC+F Issue. Upcoming Shows. May 2014 - Program: Don Windeler, "Minerals and Stamps". CCMA Feedback & Tips. NCMA coming up. New Mexico Field Trip. Upcoming Shows. April 2014 - Program: Bill Motzer, "Mercury Deposits of the California Coast Ranges and Their Environmental Impact". CCMA Ping. In Search of Telegenic Diggers. Upcoming Shows. March 2014 - Program: Rick Cooper (BLM) on the CCMA. The big Tucson Recap. Notes of mindat.org. February 2014 - None: Tucson Holiday. January 2014 - Program: Alfredo Petrov, "Collecting in Bolivia and the Andes". Annual Dues are Due: $6. 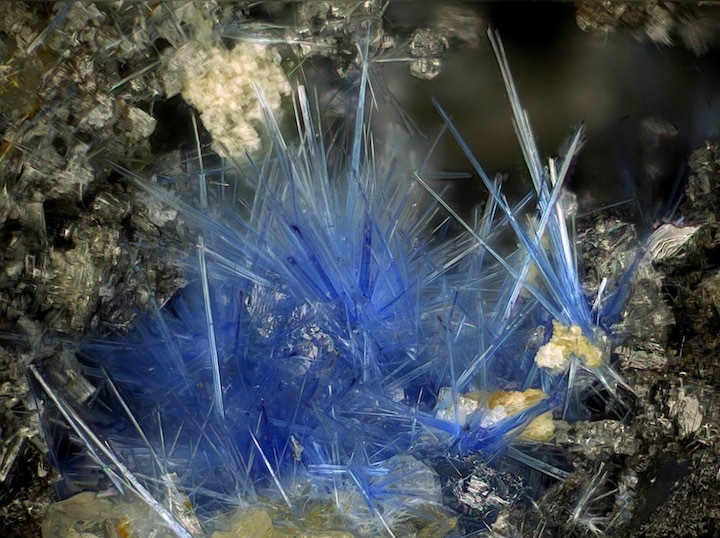 December 2013 - Program: Barb Metz, "A Mineralogical Journey in Germany and Poland." Clear Creek update. Planning for January. Upcoming shows. November 2013 - November doubleheader: Stan Bogosian on BAM in Utah, and Dan Evanich on BAM in Colorado. Crystal Gazers / BAM Holiday Thang. Upcoming shows. October 2013 - Program: CANCELLED due to government shutdown. Trimingham Sale Updates. BAMies out and about. Upcoming shows. ~ Government shutdown may effect BAM meeting schedule. September 2013 - Program: Jolyon Ralph, "MinDat and Its Uses." Bam Summer highlights - shows, picnics and so on. Upcoming shows. ~ This month we are meeting on the 3rd Wednesday, the usual time & place. July - August, 2013 - Gone to the country. Happy hunting! June 2013 - Program: Will Elder on the Geology of the Golden Gate lHeadlands. SF Gem & Mineral Soiety Show. BAM goes on vacation for the summer. May 2013 - Jon Page on The Obscure Pegmatites of the Chihuahua Valley District. CCMA Protest Letter. Santa Clara Valley Show Wrap. BAM shirts. Upcoming Shows. April 2013 - Ted Hadley on Map Management & Paperless Portability for Field Collectors. Release of the CCMA Proposed Resource Management Plan. BAM Case for the April Santa Clara Show. Upcoming Shows. March 2013 - Tucson Recap. Gretchen Luepke Memorial. BAM Benefit Auction. BAM at the Santa Clara Show. High Altitude Field Collecting. Notes. Upcoming Shows. February 2013 - None: Tucson Holiday. January 2013 - January's meeting is on Wednesday, the 16th. Alfredo Petrov on "Collecting on active volcanoes in Japans." Dues reminder. December 2012 - Program: BAM at MinDat Morocco! Upcoming shows. Note: The January meeting will be on the third Wednesday, the 16th. November 2012 - Program: Dennis Freiburger "A Gemstone Safari to Tanzania". The CalPhotos Online Database. Crystal Gazers/BAM Holiday Party Upcoming shows. Note: The January meeting will be on the third Wednesday, the 16th. October 2012 - Program: Dan Evanich recaps the Nevada field trip. Theft at the State Mining & Mineral Museum. Upcoming shows. September 2012 - Program: Chuck Trantham, "Collecting at Skoomkumchuck Dam, Washington." Upcoming programs: October field trip to Nevada; November Dennis Freiberger on Tanzania. Bam at the SF Gem & Mineral Society Show. Upcoming shows. July - August, 2012 - Gone to the country. Happy hunting! June, 2012 - Program: Ted Hadley on "Perovskites: Natural and Synthetic." Upcoming SFG&MS show. Summer picnic and other BAM notes. Upcoming shows. May, 2012 - BAMnews is on vacation, but the May meeting features Don Windeler on the "Skarns of the Ludwig area, Yerington District, Nevada" as a preview for a portion of the June field trip. BAM will also have a booth at the USGS Open House on May 19 and 20, 10am to 4pm each day. April, 2012 - Special meeting time & place: April 14, 2012, 9 M, California Academy of Sciences. 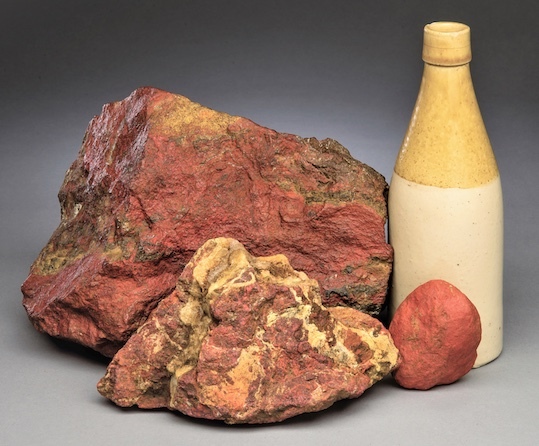 April program: Jean deMouthe on Mineral Collection Basics. SFG&MS invitation to a collecting trip at the Spider Mine. Expect a Clear Creek update at our May meeting. Upcoming events. March, 2012 - Program: The big Tucson Recap. April Meeting in San Fransisco. Bam heads to Morocco. Upcoming events. February, 2012 - None: Tucson Holiday. January, 2012 - Program: "Arizona Night" with Stan Bogosian. Bam meeting notes. Bam heads to Morocco. Upcoming events. November, 2011 - Program: "Gems: A Mineralogical Perspective," by Jean DeMouthe. Collection Curation. Crystal Gazers/BAM Holiday Party. Upcoming shows. October, 2011 - Program: Paul Geffner on amathests from Jacksons Crossroads, VA. Upcoming programs. September eratta. Upcoming shows. September, 2011 - Program: Dennis Perkins on Blue Needle Quartz. Upcoming programs. BAM summer highlights. Happy endings in Clovis. Upcoming shows. July & August, 2011 - Gone to the country. Happy hunting! June, 2011 - Program: Dennis Freiburger on the Karakoram Highway. August Field Trip to Colorado. Other Fun in the Summertime: SF Shows (and BAM Involvement). Upcoming shows. May, 2011 - BAMNews is taking a little vacation. Our May meeting will feature Tim Greenland on the geology, history, and mineral collecting in Chessy, France. April, 2011 - Program: Rick Kennedy on "The California Blue Mine." May program on Chessy, France. RIP Tlhomas Serwatka. UCSC seeking contribution of teaching specimens. March, 2011 - Program: "Tucson!" Other Mineralogical Events. Programs past and future. BAM Bios & Directory. February, 2011 - None: Tucson Holiday. January, 2011 - Program: "Rescued: The Chilean Mine Story." December notes. LA Museum of Natural History. December, 2010 - Program: Tim Rose on new California Minerals. November Meeting Notes & Upcoming Programs. Updates on the CCMA: Notes from 11/30 BLM Mining Claimant Meting. Upcoming Shows. November, 2010 - Program: John Richardson, "A Madagascar Travelogue." October Notes & Upcoming Programs. Crystal GazersÍ / BAM Holiday Bash. BAM Website Updates. Upcoming Shows. October, 2010 - Program: Dan Evanich on BAM's 2010 Idaho Field Trip. NCMA Meeting Wrap & Prezo CD. The Nature of Opals Auction. BAM Mug Shots. October Shows. September, 2010 - Program: John Magnasco on "Crystal Twinning". BAM summer highlights. Mineral Collector in the News. Gretchen Luepke-Bynum, 1943-2010. Upcoming Shows. June, 2010 - Program: Gary Moss on the Mines & Minerals of Western Idaho. July 17th Idaho field trip details. CCMA Update (Clear Creek). Geology Field Day at Pinnacles, May 8th. Show Calendar. May, 2010 - Program: Len Piszkiewicz on the Upper Missippi Valley Led-Zinc District. July 17th Idaho trip. Update on Gretchen Luepke-Bynum. Summer Shows. April, 2010 - Program: Magnasco on Japan & Korea. CCMA Update (Clear Creek). Geology Field Day at Pinnacles, May 8th. Show Calendar. March, 2010 - Tucson in Review. Show Calendar. February, 2010 - None: Tucson Holiday. January, 2010 - David Lowe in London's Natural History Museum; December meeting notes; December silent auction. Show Calendar. December, 2009 - Copper Country Cruising with Don Windeler; December silent auction results. Clear Creek Update. Show Calendar. No February Meeting. November, 2009 - Lee McIlvaine on visiting Långban, Sweden; December silent auction; Crystal Gazers holiday party. Show Calendar. October, 2009 - Inaugural BAM Meeting at USGS. Len Piszkiewicz on he San Gabriel Mts. Strawberry Mine Field Trip. Great California ShakeOut. Show Calendar. September, 2009 - A New Home for BAM. Dan Evanich on Eastern Sierra Field Trip. Upcoming Strawberry Mine field Trip. Clear Creek Update. June, 2009 - Program: Si & Ann Frazier on Pseudomorphs. Summer plans and fall programs. The Foothill Finale. Passing of Ken Gochenour & Walter Koniuk. May, 2009 - Program: Barb Matz, "Behind the Scenes at the Benitoite Shoot." Field Trip to Eastern California May 17-24. The End of an Era: Final Meeting at Foothill College. Passing of Bill Forrest. April, 2009 - Program: On the Road in Arizona with Stan B. Upcoming programs. Passing of Claus Hedegaard and Steve Pullman. Got Gabbro? March, 2009 - Program: Tucson in review. May fieldtrip. Rockhounds and claims. Remember to pay your dues. January, 2009 - Program: David Lowe on South Africa. BAM Tucson coordination. San Rafael Show in July. Crystal Gazers party wrap. REMEMBER: NO FEBRUARY MEETING. December, 2008 - Program: Summer Sojourns with Brian. Swap Meet. Event Calendar: Dec. 18 Gemstone Deposits of the U.S.
November, 2008 - Program: Collecting with Craig. Future programs. Mineralogical Crossbreeding for the Holidays. Crystallographic Fun for the Kiddies. October, 2008 - Program: the BAM Website. BAM at the SF Mineral Show. New Mineral Show coming next summer. Upcoming shows. April, 2008 - Program: Building the Complete Mineral Database; Field trip to New Mexico, the Rainbow Mine (Fresno Co), Owyhee Reservoir, and the Berkeley Geology Department. March, 2008 - Program: Tucson Show reviewed and deconstructed; Field trip to New Mexico in June; Cash & Treasures at the Gem Mine; In search of Iceland Spar. January, 2008 - Museum Travelog by Rick Kennedy; preparations for Tucson; the Munich show, part II, including some great Afghan specimens. December, 2007 - Mines, Minerals and Metals in Bolivia; the News (and some specimens) from Munich. November, 2007 - Mining with Gas; Fires in the Southland; Ed Oyler Memorial Sale; Deposits Magazine Solicits Articles. October, 2007 - August field trip to Butte; CCMA Clear Creek meeting; picnic & auction recap; In Memoriam: Al Ordway. July, 2007 - New BAM Officers; butte Field Trip; September 22nd Picnic. February, 2007 - BAM Dinner at Tucson; Tucson 2007 links and news; München 2006: Masterpieces and passions in pink but where is the beer?, by Claus Hedegaard. January, 2007 - Collecting in Greenland; Review of our meeting with the BLM; Bolivian Miners fling Dinamita; Lesotho Promise Diamond; upcoming Tuscon events. December, 2006 - Fieldtrip to Benitoite Gem Mine; new minerals at Munich show; Dan Evanich's Wulfenite passion; upcoming Tuscon events. October, 2006 - The BAM 2006 Picnic; Benitoite Gem Mine reopens; new minerals at Denver show; review of September meeting; Plesiosuarus from the arctic; up-coming field trips and events. September, 2006 - The BAM Field Trip to the Willard Mine, Redbird Mine, Bloody Canyon, and Majuba Hill Mine; up-coming field trips and events. June, 2006 - Don Windeler on the "Skarn Deposits Near Ludwig, Yerington District, Nevada"; Review of Nevada Field Trip; up-coming field trips and events; Cobalt chromophore "Beluga Spinel". May, 2006 - Nevada Mining & Minerals; Review of April Field Trip; up-coming field trips and events; Things that Go Clink in the Dark; May 24th Field Trip to Nevada; Konder Deposit to be Auctioned. April, 2006 - Preview of the Mines & Minerals of the North Pennines Tucson Show Review; Scandles at Tucson; up-coming field trips and events. March, 2006 - Winter Review,Tucson; Revitalization Preview; Upcoming Events. Oct/Nov, 2005 - Minerals of Diamantina, Minas Gerais, Brazil; New at the Denver Show; New at the Munich Show; Stalactites. September, 2005 - Review of September 10 picnic; May Meeting Review: Trimming and Cleaning specimens; Clear Creek and the Call to Action; Garnet Creek Blocked; the passing of Bob Harold and George Shokal; Getchell Mine Sat Snap. May, 2005 - Review of Rhodochrosite: Red Treasure of the Rockies; Trimming and Cleaning demonstrated at May meeting; upcoming events calander. April, 2005 - Sweet Home Mine Video in April; May and June Fieldtrips; call for Newsletter content. March, 2005 - Our Tucson Show Report; upcoming shows; meeting agenda and field trip schedule through June. January, 2005 - Champion Mine Video and mineral display; working calendar for 2005. December, 2004 - December Silent Night Auction; Champion Mine video and and minerals for program in January. November, 2004 - The October trip to Clear Creek; making plans for the coming year. October, 2004 - Summer summary; return to Clear Creek on the 8th & 9th. June, 2004 - Brief Report on May 27th field trip to Gold Hill, Utah; Planning for more field trips this summer and fall; June 9th meeting to review Gold Hill trip and plan for the next trip. May, 2004 - May 27th field trip to Gold Hill, Utah; May speaker will be John Stockard on thunder egg formation; Mineral of the Month is Simpsonite. April, 2004 - 2004 Field Trips; Minerals on the Internet (April speaker); Strontiojoaquinite - Mineral Find of the Month; Bill Spence on The Greenhorn Summit. March, 2004 - The 2004 Tucson Gem and Mineral Show; Field Trip to LaPaz County, Arisona; Mineral Find of the Month; Upcoming Activities. December, 2003 - Bring some interesting specimens to the Dec. Meeting; The Cleaning and Care of Benitoite, BAM's first field trip in 1974; Academy Geology Exhibits in Golden Gate Park Due to Close. October/November, 2003 - Mineral of the Month, Post-Thanksgiving field trip planning, upcoming club events. September, 2003 - Mineral of the Month, Majuba Hill Field Trip, come to the Oct. 8th meeting to discuss November field trip. August, 2003 - Annual Picnic Sept 7; New Editor and Format - check out the new columns. June, 2003 - Len Pisciotta on his field trip to Namibia. May, 2003 - Results of the Field Trip to Darwin. April, 2003 - Pre-Field-Trip Briefing on Darwin. March, 2003 - All about Tucson. March 1st Picnic. November, 2002 - Ethics & the Mineral Collector. Champion Mine specimen review at the December meeting. October, 2002 - June meeting - Report on Champion Mine Field Trip by members. Planning for a Darwin fielt trip.